So who uses dictionaries these days, right? Well, that’s maybe why there are a lot of people who have grammatical and vocabulary issues. Whether you are an immigrant or a native born American, having a dictionary handy is essential. You never know when you are going to hear that big word, and it’s unrealistic to try to guess what people use in their conversations. Some people love using big words to impress others and even make them feel bad, but having a dictionary handy saves you all that trouble. 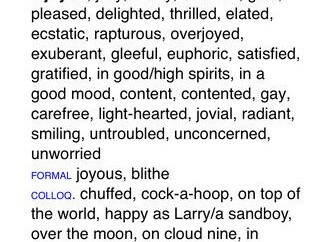 WordBook is a 2 in 1 dictionary and thesaurus app that helps you find the words you are looking for fast right on your iPhone. WordBook comes with over 150,000 entries and 220,000 definitions. You also have lots of examples to choose from, so you are not just stuck with word definitions. According to the developers, the app contains as much material as you would expect to see in a 1800 page book. What I like about this app is the fact that pronunciations are clear, so even people who are from a foreign country can get a handle on how to pronounce words the right way. But WordBook is not just for beginners. It has plenty of features for those who want to do literature work. 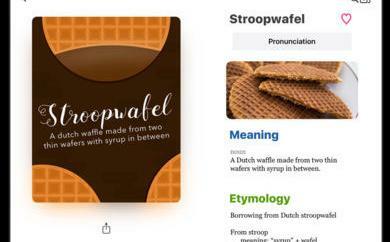 You can easily find the origin of words and do your research with WordBook. 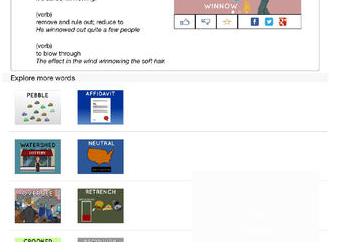 Unlike other dictionary apps, with WordBook you are not limited to words and definitions. The word links help you get a better understanding of the English language. The Words of the Day feature is handy as well as you learn something new everyday. 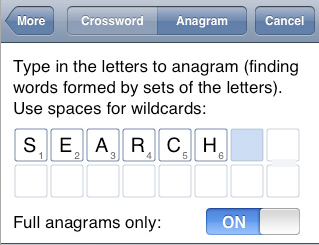 You also can “favorite” words and and export your lists to e-mail.Last but not the least, WordBook provides you with a crossword and anagram solver (see the above figure). 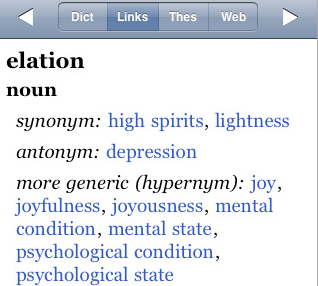 All in all, WordBook is one of the most comprehensive dictionary apps available for iPhone platform. It’s easy to use, dynamic, and very affordable. Who needs a paperback dictionary when you could have WordBook. Next Story → Sheep Launcher Plus!